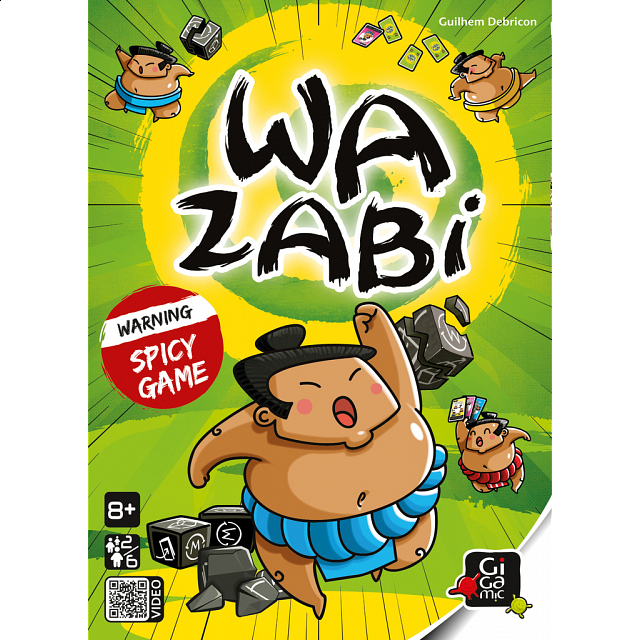 Wazabi has a single aim - to get rid of your dice! The trap: the fewer dice you have the more difficult the game becomes. Very simple rules hide a really original and addictive game: the less dice you have, the more difficult it becomes to get rid of them. The cards which have the most devastating effects are played according to your dice roll. Dice and cards change hands or are discarded, constantly changing which player has the upper hand. Contents : 24 engraved dice, 36 cards, 1 set of game rules,1 bag.